Most people are very surprised to learn the avocado, also known as alligator pear, actually belongs to the fruit family. 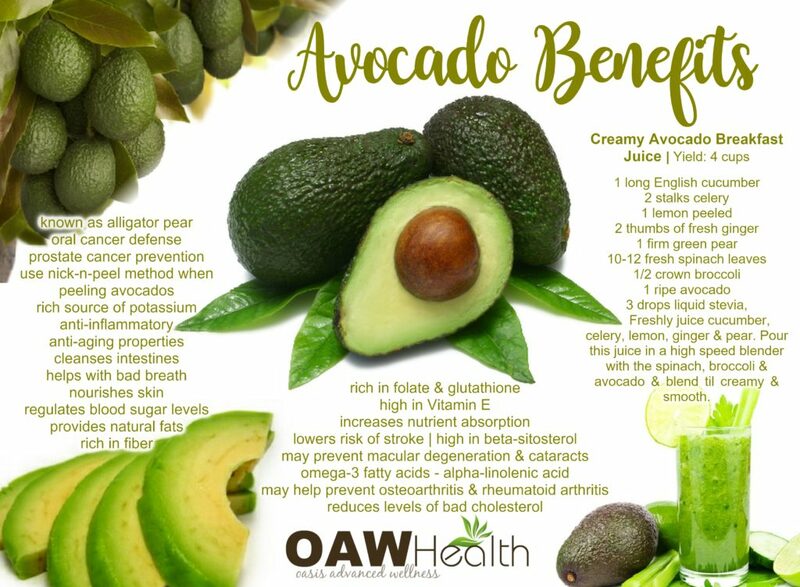 Avocados are truly an amazing superfood for many reasons and research continually provides us with more and more avocado benefits on a yearly basis. 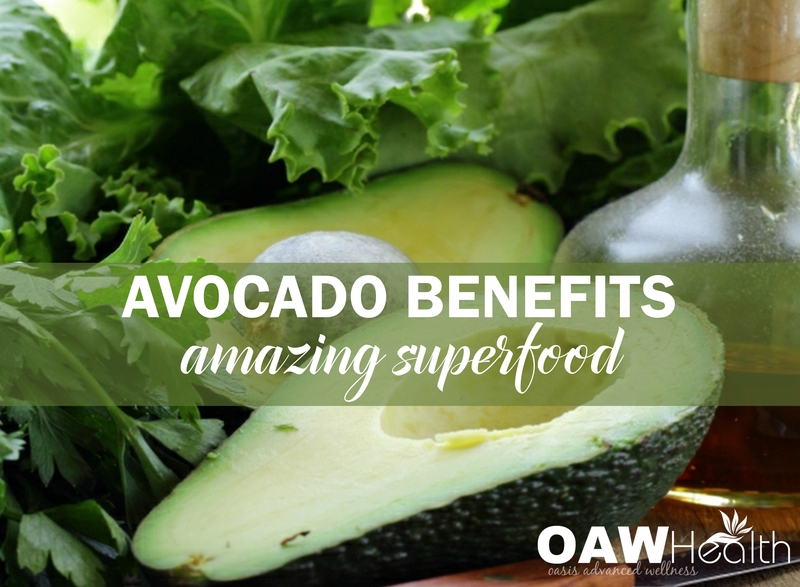 However, years of being scared away from fat-containing foods have caused many people and healthcare practitioners to overlook avocado benefits. 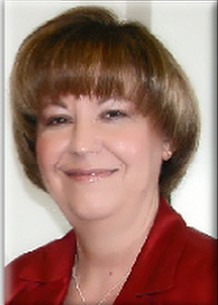 In fact, many healthcare professionals tell their weight-loss clients to stay away from avocados. 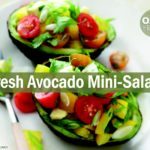 Today — thanks mostly to on-going research concerning the risks of low-fat diet — we understand that avocados offer important, healthy fats in addition to much needed antioxidants, multiple trace minerals and vitamins. Here’s the scoop about avocados: The avocado is truly an amazing superfood to add to your daily diet. In fact, there are few, if any other, other superfoods that are chalked-full of essential nutrients. One medium-size avocado has about 215 total calories. Yes, that’s a boat-load of calories. However, because of the healthy fat, fiber and phytochemical content, this superfood should help you lose weight, not gain weight. Great topping for soups, salads or vegetable broth and bone broth. Use in the food processor for dessert whips, puddings, smoothies and other recipes. Mash or whip for baby food instead of processed grocery-store baby food. 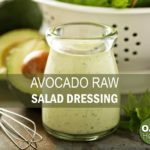 Homemade guacamole and salad dressings. Use non-toxic skin care products with avocado for anti-aging benefits. Freshly juice cucumber, celery, lemon, ginger and pear. 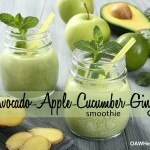 Pour this juice in a high speed blender with the spinach, broccoli and avocado. Blend til creamy and smooth.